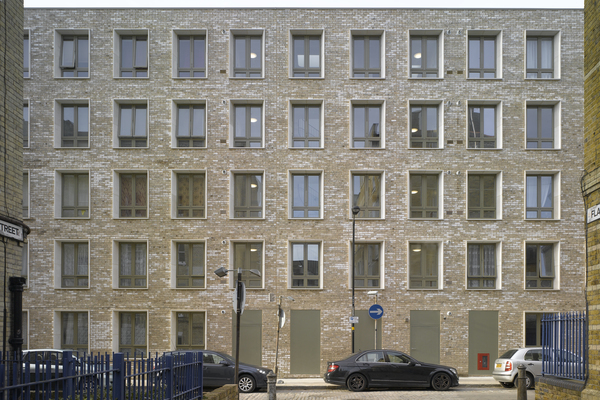 Darbishire Place at Peabody’s Whitechapel estate in east London comprising 13 new family homes. 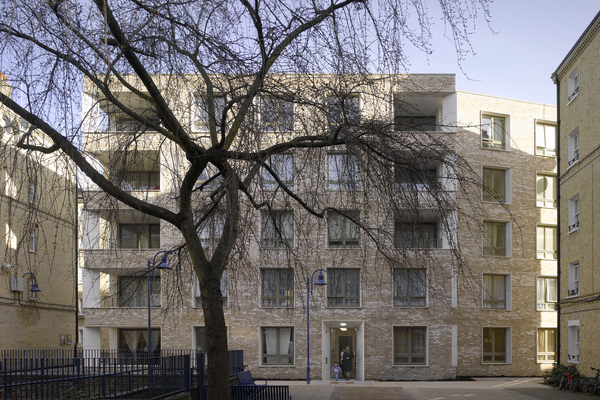 The scheme completes an ensemble of 6 housing blocks surrounding an internal courtyard with the original block having been destroyed during World War II. The building's façade draws inspiration from the existing Victorian blocks designed by the first Peabody architect, Henry Astley Darbishire. The Whitechapel estate was the first of ten estates built by Peabody as part of London's earliest slum clearance programme. The estate opened in 1881 and provided 286 homes. On 8th September 1940 Block K was destroyed in an air raid and nearly 80 people were killed. It was the worst disaster to hit any Peabody estate in the Second World War. The block was not rebuilt, and Block D was demolished as it had been badly damaged. In 1995 a memorial was unveiled at the estate which lists the names of the people known to have died in the tragedy. Completed in December 2014, the new six-storey building has been designed by Niall McLaughlin Architects to respect the massing and characteristics of the existing buildings on the estate and continues the idea of open corners, promoting easy pedestrian access and views between the courtyard and the surrounding streets. 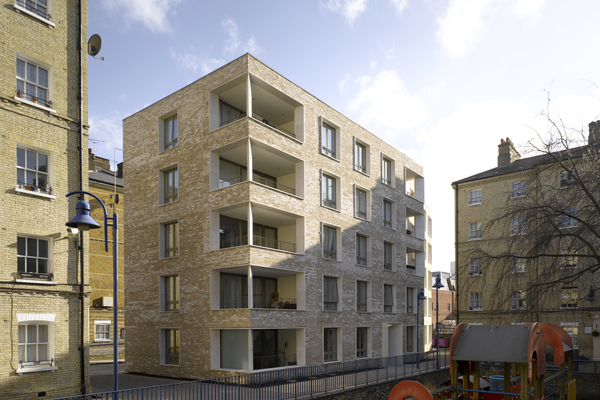 The internal layouts are arranged around the single stair and lift core that provides access to 13 homes over 5 floors. Most of their habitable rooms are oriented south or west, the building is Part M compliant and has a wheelchair accessible flat to the north of the ground-floor. 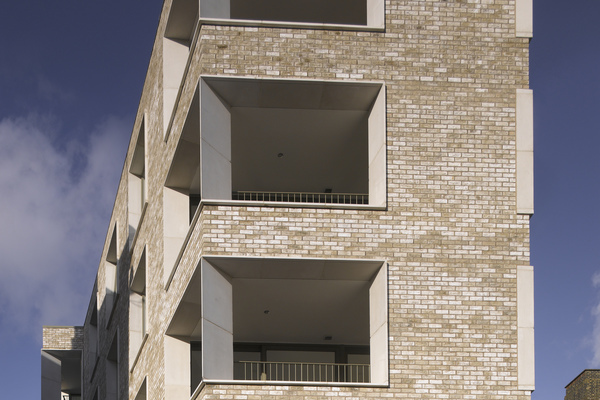 The large balconies to the new flats are internal to maintain the solid and object-like character of the new building. They are open to at least two sides with nearly full width openings and a low solid balustrade to maximise daylight into the living rooms located adjacent to them. 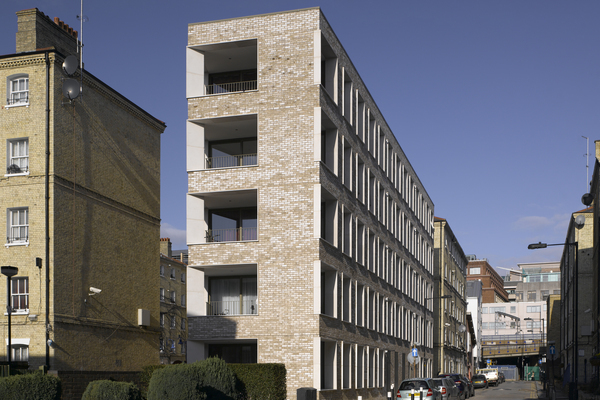 Awards and recognition: Darbishire Place was a 2015 RIBA National award winner and one of six buildings shortlisted for the 2015 RIBA Stirling Prize.